With more than 4 million of us earning a living from our home office, the way we work is changing. Without the stresses of lost wi-fi and call signals, along with the distractions from co-workers, working at home sounds incredibly desirable! Top experts are even suggesting that working from home can increase productivity and boost morale, making it favourable with employers. However, creating a zone to concentrate in is essential. That’s why we thought we’d hand-pick six murals to help you create an office you'll never want to leave! Travel wallpapers are a great choice for home offices. 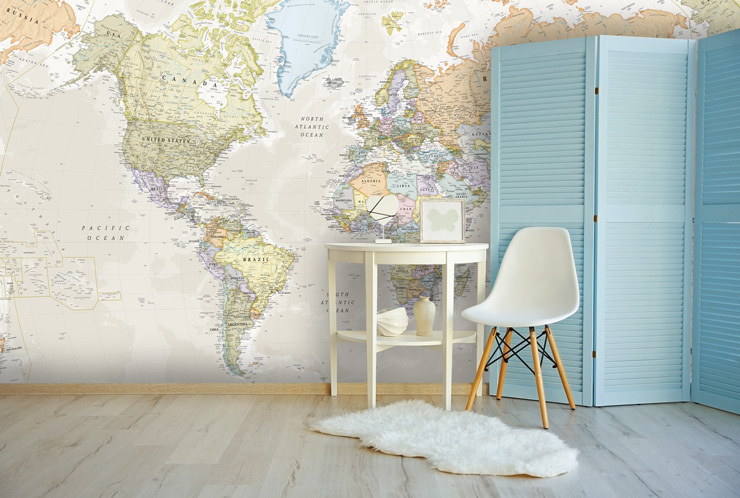 Whether or not you work in the travel industry, stunning map murals, in particular, are both stylish and motivational. They bring the world to your feet and are available in a choice of neutral colours. 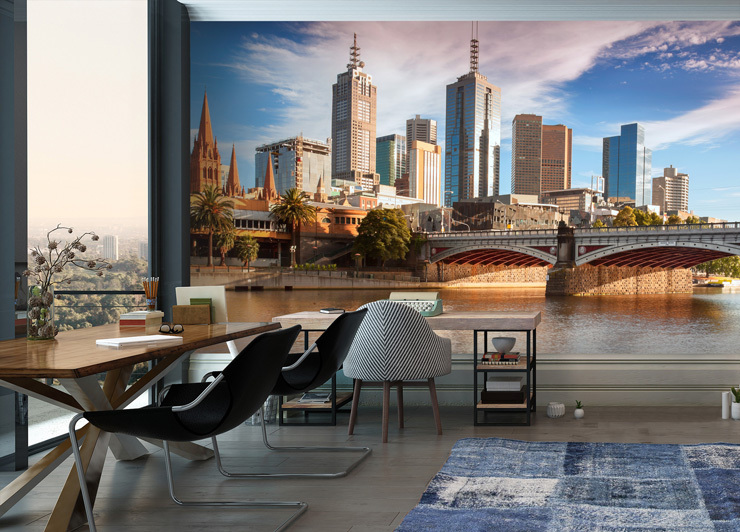 City wallpapers can have a similar effect as map murals and are great for creating a room with a view! From downtown New York to the colourful streets of Stockholm, choose your favourite city from our vast collection. So, if you have no windows in your home office, a city mural could be ideal for your home office. Perhaps you’re a night owl and find you’re most productive during the evening? Creating a cosy office with tree wallpaper or even stag wallpaper could help you create the right office environment for you. From stunning autumn forests to spring green trees, our huge range of tree wallpapers is sure to breathe life into your home office. 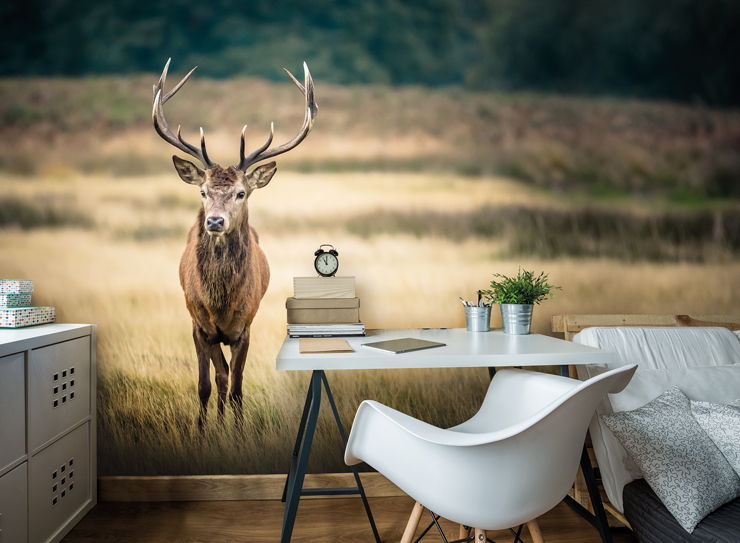 An alternative nature inspired wallpaper, that is uber stylish, are our deer and stag wallpapers. With their neutral tones in beautiful landscapes, they give off a calming aura that’s perfect for your work environment. Let’s face it, you’re going to be spending a lot of time in your home office! 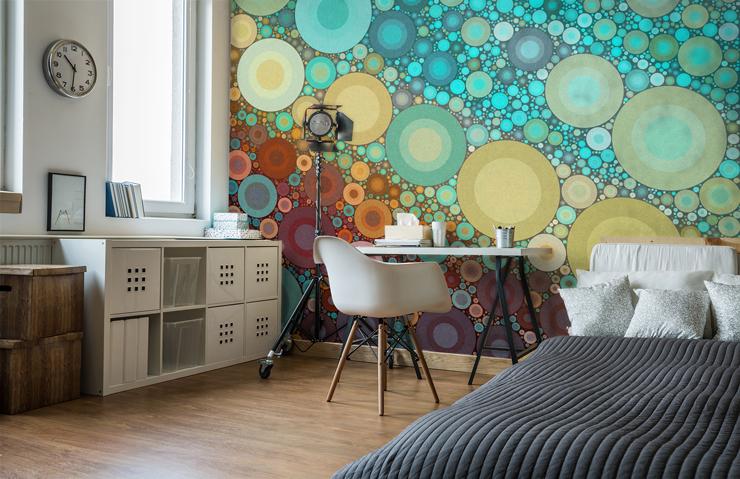 So why not treat it to our designer wallpaper murals? 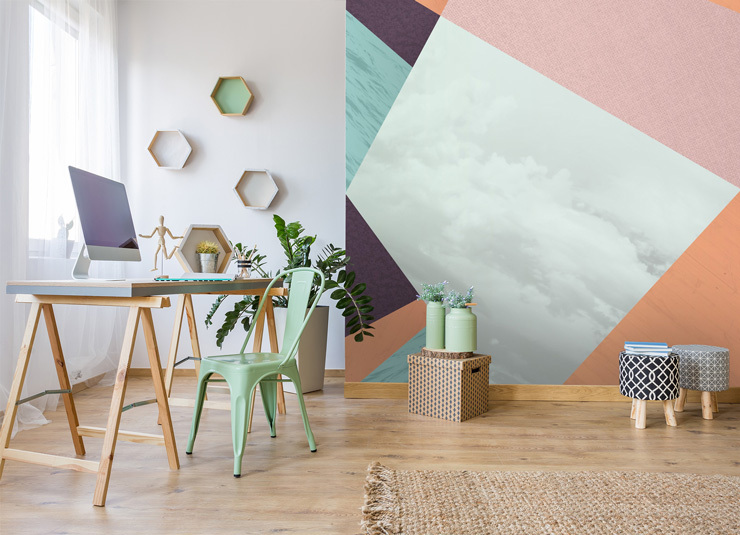 Illustrator, Twisted Pixels has some amazing geometric wallpaper murals available in a variety of feminine and masculine colours as part of its collection. They’re bang on trend for autumn too! Haven’t checked out our latest designer, Marc Pasternack yet? Inspired by spinning prayer wheels, his designs are incredibly fascinating and we haven’t seen anything quite like them! They’re perfect for injecting colour into your home office. Have we missed out your preferred style of home office design? Let us know in the comments box below and we’ll feature you in our next blog post.